A mammogram, or mammography, is a low-dose X-ray study of the breasts. Unlike a chest X-ray that images your lungs, heart, ribs, etc., a mammogram allows an isolated view of the breast tissue. The radiologist is then able to look for anything out of the ordinary. For this reason it is a very good diagnostic tool for a variety of breast problems. Even if a lesion (an abnormality) is not yet a palpable lump, a mammogram can pick it up. In fact, a mammogram can detect a “precancer”. The mammography procedure is quick and easy. Usually two X-rays are taken of each breast. These X-rays are examined by a trained physician who reports any radiographic findings. The key role of mammography is in identifying a site of breast cancer early in its development when it is too small and often a year of two before it is large enough to be felt as a lump. These small cancers have a much better response to treatment and often require much less surgical or drug treatment. Mammography detects approximately 2-3 times as many “early” breast cancers as physical examination, and is the best method for the screening of breast cancer. It is very helpful in photographing the protuberant part of the breast, but can miss abnormalities in the periphery. It may also miss a lesion hidden by dense tissue, so it isn’t 100% accurate. That is why breast self-exam (BSE) and a professional physical exam are important, too. The fear of finding breast cancer keeps many women from having a mammogram. It is important to remember that eight out of nine women will not develop breast cancer. Most of the time, the report from a mammogram and professional exam is very reassuring. Mammograms are usually referred to as either a screening mammogram or a diagnostic mammogram. A screening mammogram is taken on a woman who has no problems with her breasts and for whom the physician has no concern about a breast abnormality. Screening mammography is the search for unsuspected early breast cancer and is the procedure most women have when they go for their annual mammogram. Diagnostic mammograms are a work-up for questionable or suspicious findings detected on a screening mammogram or at the time of a physical breast examination. Each diagnostic mammogram is a tailored study to make sure that the area in question has been carefully looked at. Many findings that appear suspicious on a screening mammogram or on physical exam will prove to be normal after a careful diagnostic work-up. 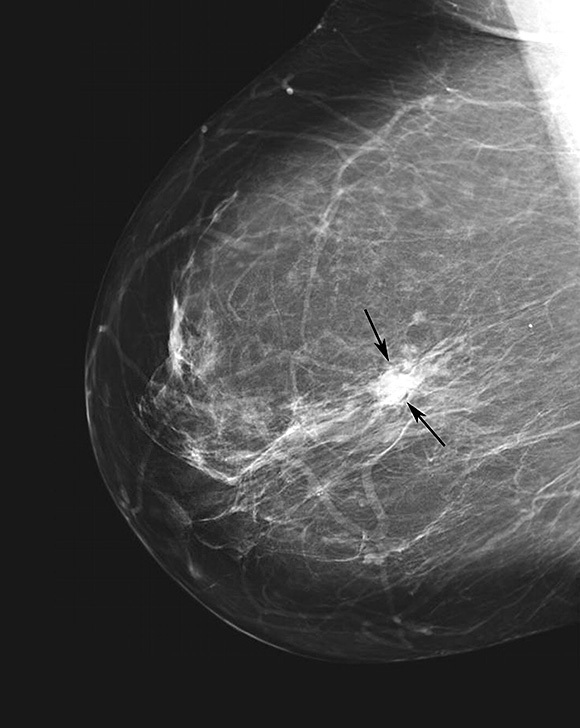 Diagnostic mammograms may include additional views such as magnification or other positions. Your mammogram appointment should be scheduled one to two weeks after your period. When you go in, be sure not to wear deodorant, perfume, any types of powders or lotion. Why? 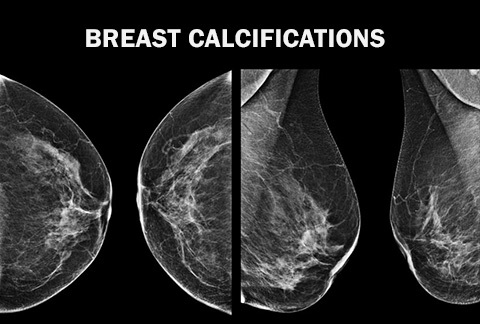 Some of the ingredients used in deodorants could alter X-ray quality and may appear on the mammogram film and could be interpreted as “microcalcifications” which are small deposits of calcium in the breast that can be detected by mammography. 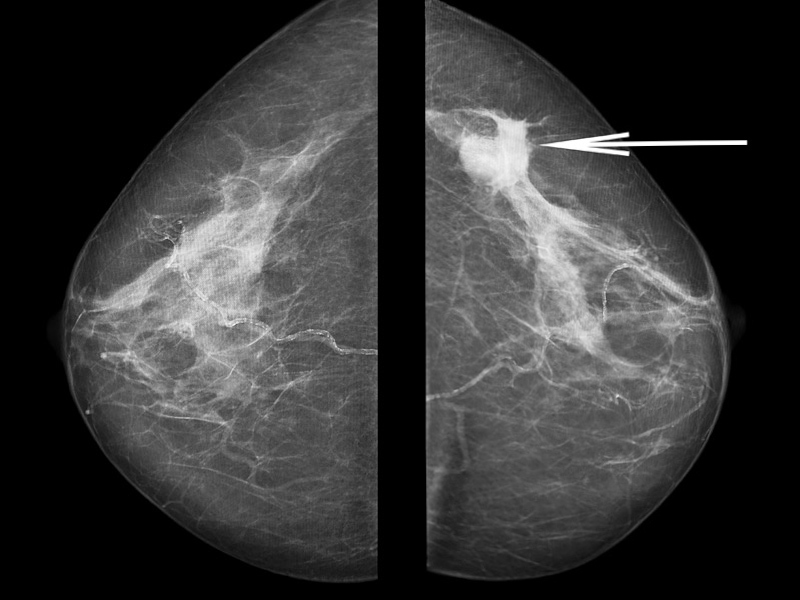 Microcalcifications are common in healthy breasts, but some microcalcification patterns are suggestive of breast cancer. Because mammograms only take X-rays of your breasts, you may want to dress comfortably in clothes that allow easy access to your breast (wearing a dress, for example, may not be comfortable). You will need to undress from the neck to the waist. Implants can complicate getting a clear picture of the breast tissue. When you call your facility to schedule a mammogram, be sure to tell them you have implants. If your facility doesn’t perform mammography on women with implants, ask if they know of a facility that does. When you get to your scheduled appointment, remind the facility staff that you have implants and will need a technologist trained in x-raying patients with implants. This is important because breast implants can hide some breast tissue. If the technologist taking your mammograms knows you have implants before performing the exam, she will take the necessary steps to get the maximum amount of breast tissue in the picture. Mammography is performed using an x-ray machine designed specifically for imaging the breast. Mammography should be performed with high quality equipment, by well trained and experienced x-ray technologists and interpreted by well trained and experienced radiologists. Although not foolproof, to date this is considered the best method to detect abnormalities. Mammograms can be done with standard x-ray film or with a digital imager. 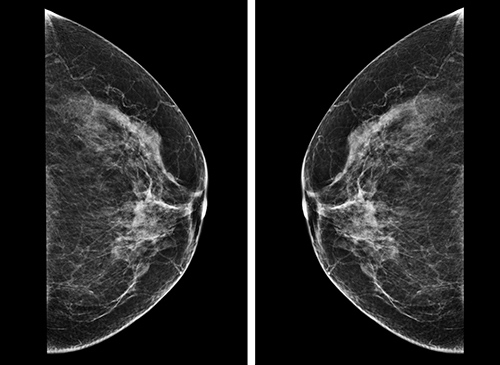 On average, two x-ray images per breast are taken, from two different angles. 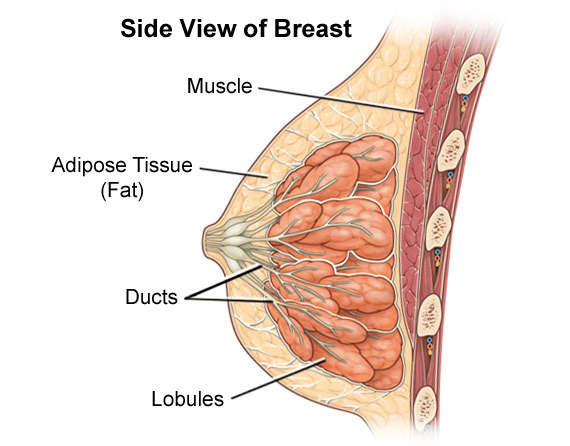 This is done to image as much of the breast tissue as possible. Sometimes, due to an individual’s size or shape, the technologist may take additional views in order to see all of the tissue. An additional view might also be taken to evaluate a particular area of the breast to determine what is “normal” tissue for that individual. During a mammogram, the breast is compressed between two plates. Good compression helps by spreading the tissue out in order to obtain a clearer picture and pick up tiny, minute areas that could possibly be early signs of cancer. Compression also reduces the radiation exposure to the breast. Compression might be uncomfortable, but is only temporary. Diagnostic mammograms will most likely take longer because more x-rays will be involved, and a radiologist examines the x-rays while you wait. 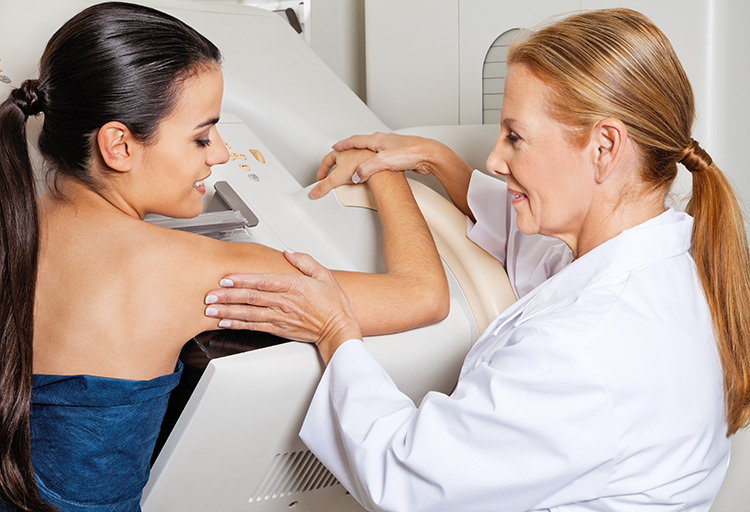 These diagnostic mammograms will usually be performed when you find a lump, have some other breast complaint, or if your physician would like to get a better idea of what the problem may be. 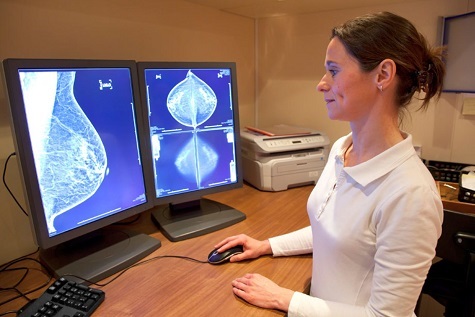 Further advances in digital technology are improving the diagnostic capabilities of mammograms. When you get a standard mammography, x-rays take images that are recorded on film called an x-ray cassette. To read the film the radiologist puts the film up on a light box, which makes the film easier to read by shining light from behind the film. During a digital mammography, the image of the breast is captured using an electronic x-ray detector. The detector converts the image into a digital picture that the radiologist can see on a computer screen. As with any image on a computer, the image can be manipulated. The doctor can change the brightness, contrast, size, and orientation allowing him or her to see the image more clearly – a big improvement for viewing dense tissue. In the United States, digital mammography has replaced conventional (film) mammography. Always learn the results of your mammogram! The MQSA requires that you be given the results of your mammogram in language that is easy to understand. (Your referring doctor will get the report in “medicalese”. If you do not list a referring physician, you should receive both reports). You may get the results while you are still at the facility or they may be mailed to you. The Mammography Quality Standards Act requires they be sent within 30 days. If you do not receive the results by this time, call the facility and ask for them. Do not assume that since you didn’t hear from the facility or your doctor that everything is fine. Because mammography cannot find 100% of breast cancers, the American Cancer Society recommends use of three tests for breast cancer detection in asymptomatic women – mammography, clinical breast exams by a physician or other health care professional, and breast self-examination (BSE). If you have a history of breast cancer in your family, discuss mammography screening guidelines and scheduling with your health care provider. Should you be told that you need a biopsy because an abnormality has been found, discuss the options thoroughly with your physician. If you desire a second opinion, this is easily done and should not communicate that you do not trust your physician. Studies have shown that some biopsies done for abnormal mammograms could have been avoided had the mammogram been reviewed by an expert. To get a second opinion is an easy thing to do. Simply take or mail your mammogram to another center to have it reviewed. There are centers that actually specialize in mammography. Whatever the outcome, it is important to follow the physician’s recommendations for follow-up. If you should require a second “follow-up” mammogram or seek a second opinion, be sure that you bring the original mammogram to this appointment – not a copy. You should also make sure that the first facility sends the medical report as well. You will need to sign a release form, giving your permission for them to release this report if that doctor or facility is different from the one you listed as your “referred by” or primary doctor. (The facility may charge you for the original, but they are not allowed to charge you any more than the cost of providing this service). There are a number of recommendations when it comes to when women should begin regularly scheduled mammography, and how often she should have it done. Women 20 years of age and older should perform breast self-examination every month. Women 20-39 years of age should have a physical examination of the breast every three years, performed by health care professional. For a woman without any known high risk factors, general agreement is to get a baseline (something to compare future mammograms against) around age 40 and then schedule your mammogram every 1-3 years thereafter. You should discuss this with your own doctor and together decide what would be best for you. NOTE: If you find a lump or feel or see a change in your breast, see your doctor as soon as possible – even if you have recently had a mammogram. By law (the Mammography Quality Standards Act or MQSA), every facility offering mammography must meet certain quality standards. 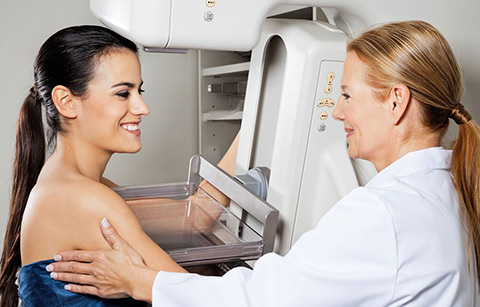 The mammography machine must be maintained in good working order and tested regularly. The standards also apply to the staff members that take your mammogram (technicians), the doctors who read it (radiologists), and the medical physicists that test the equipment. The law is enforced by the FDA (Food and Drug Administration) through periodic inspections. If the accreditation body doesn’t resolve your issue, write to the FDA (Center for Devices and Radiological Health, Office of Health and Industry Programs). Most lumps (and even “suspicious” mammogram results) are not cancerous, but the only way to definitively diagnose breast cancer is with a biopsy. It is important for you to get to know your breasts, how they look and how they feel, and to report any changes, pain/discomfort, or discharge to your doctor. Any reported change should be taken very seriously by your doctor and thoroughly investigated. This may mean a biopsy (if you have a lump) or a repeat mammogram or other diagnostic tests (such as a MRI or blood work) for other signs or symptoms. Though the odds are in your favor that it is not cancer, this is one area in which it is not worth a gamble. If you believe there is something wrong, be persistent with your doctor until the situation is resolved to your satisfaction. You may want to consider seeing a doctor that specializes in breast cancer – you will feel that much more reassured by his or her expertise when you get the news that is it not cancer. If it should prove to be cancer, he or she will be in the best position to give you the information you need and explain all your treatment options.